Currently, SFS employs 43,210 people. Nearly a third of workers were made redundant as part of the reform of the nation's State Fiscal Service, the agency reported on its website. According to a decision by the Cabinet of Ministers, the number of employees of the service should be reduced by 30%, or 17,648 staff members. The number of employees in fiscal services (as of May 20) totalled 43,210 people. 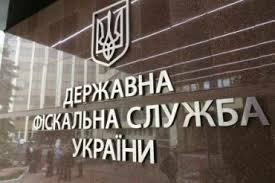 Laryssa Lozova of the agency's personnel department said another 3,382 employees will be made redundant in the near future, of them 2,852 have already received the notice of dismissal. Lozovaya said the workforce reduction would continue. The former Prime Minister Arseniy Yatsenyuk has repeatedly advocated a sweeping renewal of the SFS staff based on a principle not dissimilar from the what was used during the creation of new patrol police. In February, 39% of the country's fiscal officers failed their reassessment tests.